A deviated septum is a condition where in the nasal septum deviates in one direction. Usually the deviation is very small and no treatment is required. However if the deviation is severe the deviated septum causes various symptoms such as congestion, sinus infections and nose bleeds. 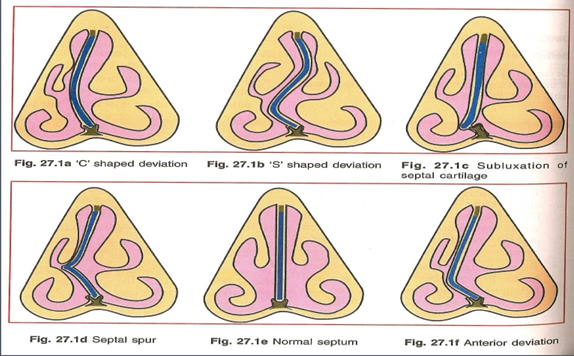 Ever Wondered How Many Types of Deviated Septum are Present? If you have, then this article will give you all of the necessary information. By the time you finish reading this article, you would have gained a lot of knowledge on the subject. 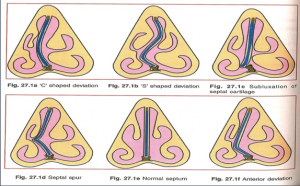 Deviated septum based on its characteristic features is classified into three separate types. Simple Deviations: People who suffer from this type of a deviated septum show a very slight or mild deviation of the septum. In this case no obstruction is present and thus no further treatment is required. 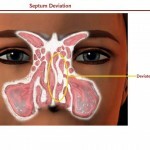 This is also the most common type of deviated septum. Obstruction: This type of deviation is much more advanced and problematic. 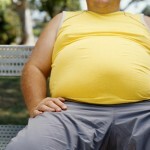 It causes severe obstruction in people. Sometime the deviation is so severe, that it may even touch the lateral side of the wall. But surgery is not always necessary in this case. Usually a vasoconstriction will cause the turbinates to shrink away from the septum thus removing the obstruction. 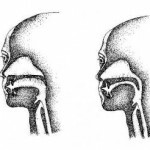 Impaction: People who suffer from this type of a deviated septum tend to show marked angulation of the septum. In other words, the septum tends to bend at an angle. Usually a spur will also be present along with the angulation, this spur will touch the lateral wall of the nose. Here even upon vasoconstriction, space will not be increased in any manner. Surgery is the only option of treatment. 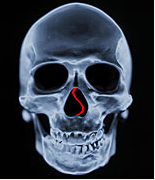 Subluxation: In this special case, the nasal septum will be broken from the central midline. The above are the types of deviated septums currently found.